These dual inline master cylinders from Strange are ideal for sportsman classes requiring 4-wheel braking. 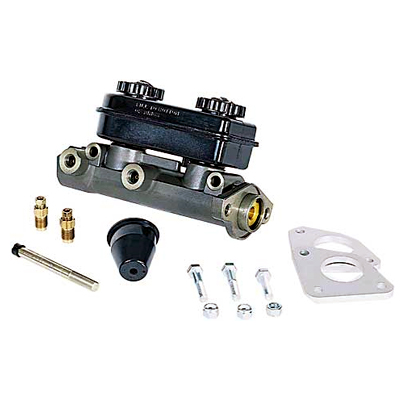 Featuring a Strange aluminum body, and holes for fabricating a side mount, these affordable master cylinders are available with or without mounting hardware. Hard line fittings are included. Quality Construction: No one else gives you the bold clean styling of our Aftermarket Dress Ups, Suspension and Performance Parts for your American Muscle Car like UPR Products! Installs in 1 hour or less.